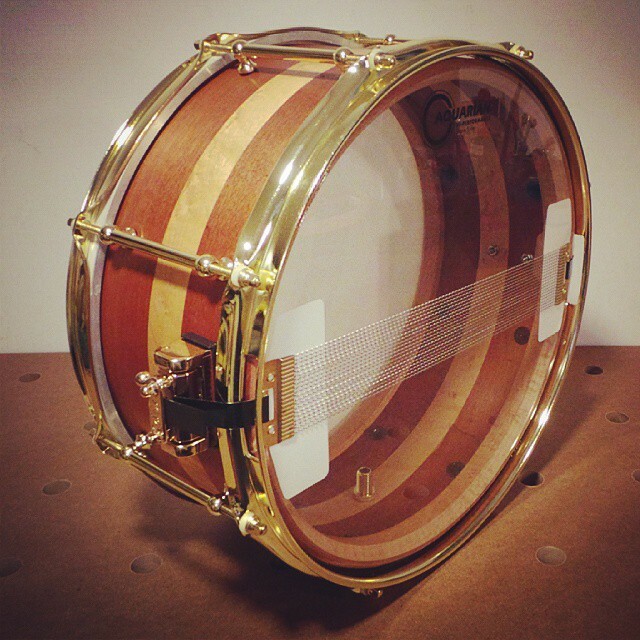 So Pantheon Percussion endorser Teo Jia Rong brought this snare out to play, and it really stole the show! 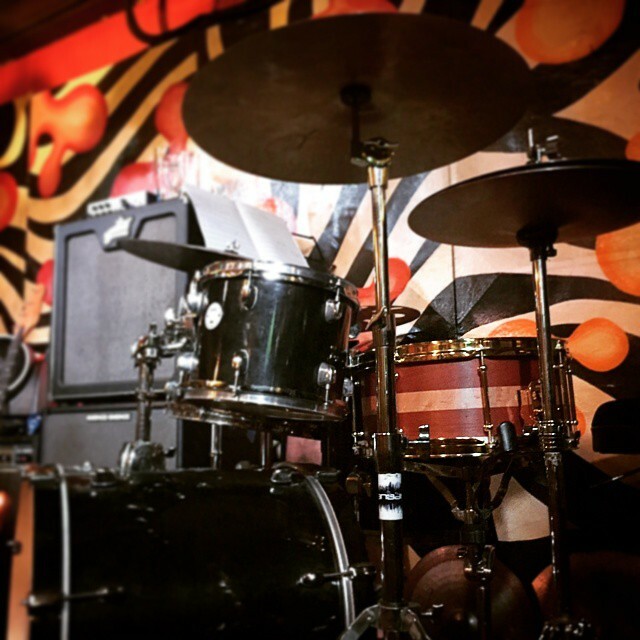 You know it’s a winner when other non-drummer musicians tell you it sounds awesome. 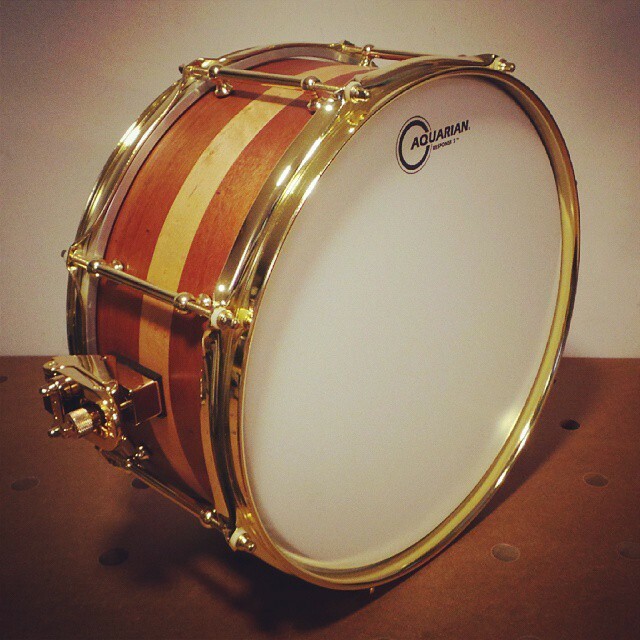 This particular snare is a 14 x 6.5 steam-bent sinker Mahogony and Birch hybrid snare wih gold and brass hardware. The term ‘Sinker’ refers to ancient wood logs that have been submerged in freshwater for many years (sometimes more than a hundred years) and now reclaimed for use. These ancient logs have had all the sap drawn out of them by the river or lake and leave micro-pockets in the wood providing a very light and resonant wood that is perfect for snare making! The only pity is that I could only get my hands on one shell. Ugh. The search continues.